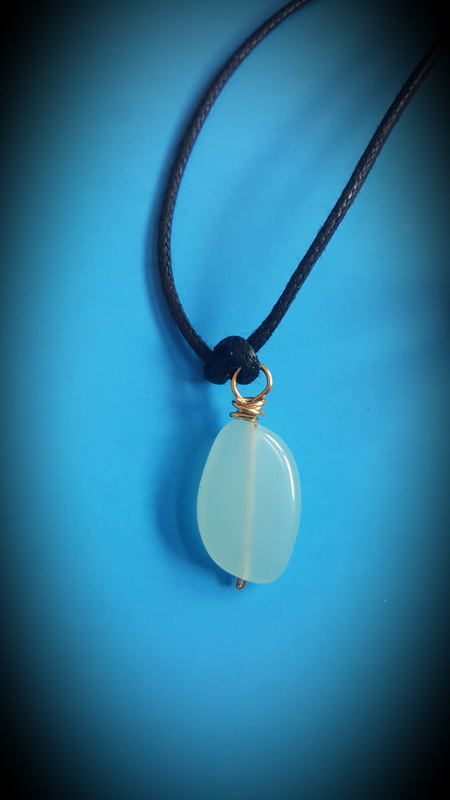 Chalcedony will bring your body, mind, thoughts, and feelings in harmony with your spirit and help with positivity in your heart, mind, and soul. The picture doesn't do it justice as it is a pretty pale green. Black cotton cord. Shipping $3 in the US. Limited quantities!